Power Mac Center becomes the first Apple store in the country to receive an Apple Authorized Training Center (AATC) certification, one of the highest accreditations given by Apple to its resellers. Power Mac Center’s Classroom at Greenbelt 3 is now an accredited AATC and will begin to offer Apple certified courses to companies, schools, and individuals who wish to learn or expand their knowledge on Apple’s Pro applications. Moreover, the new AATC is now qualified to offer Apple certification exams for professionals looking to establish their expertise, and better market their skills in the field of digital technology. “With the highly valued AATC accreditation, Power Mac Center reinforces its leadership position as an Apple resource and service provider in the country,” he added. With already two accredited Apple Certified Trainers in its Greenbelt store, Power Mac Center continues to consistently train its employees to deliver quality educational services, with the end view of an AATC accreditation for its other flagship stores as well. “This worldwide recognition further raises the level of commitment of all Power Mac Center employees to a truly reliable and outstanding service as demonstrated by the global Apple workforce,” said Alvarez. i think that's a great news! para yung mga interested na maging developers ng applications sa devices can learn straight from apple. thing is how much kaya ang training? No disrespect, but the title of this article is factually incorrect. 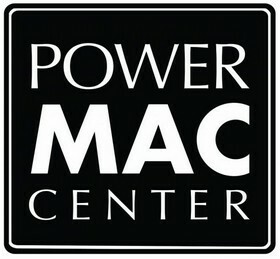 Philippine Center for Creative Imaging (PCCI) has been an Apple Authorized Training Center since 2003, so Power Mac Center can't be the "first" AATC.